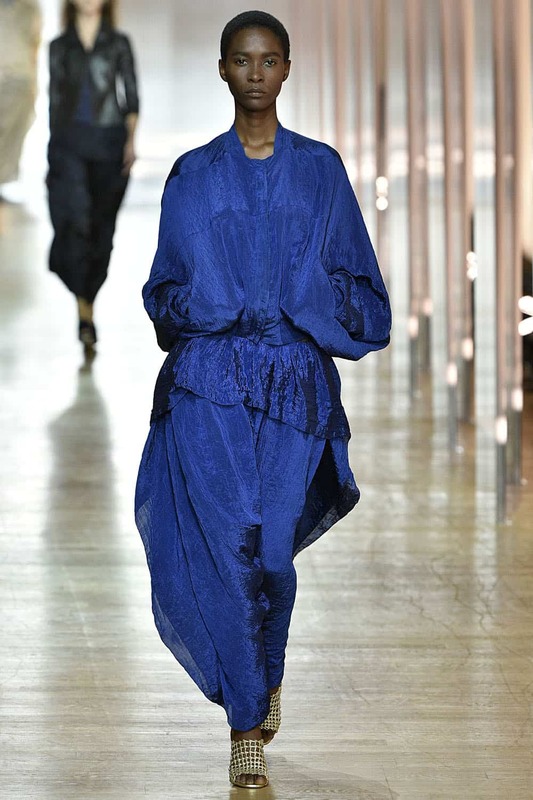 Designer Yiqing Yin is out after only two seasons at Poiret. WWD reports that the brand announced the news this morning without any information about the decision. Yin has been the first designer to helm the brand since Paul Poiret himself, and she has been the only designer to lead the brand since its relaunch. The brand trademark was acquired by Shinsegae International in 2015. Though it had been dormant for 90 years, it seemed that Shinsegae was banking on its heritage to boost customer engagement, rather than starting a brand new label. Poiret was championed by the likes of Azzedine Alaia, and was even the subject of a 2007 Costume Institute exhibit. As a creative director, Yin did an excellent job at capturing the essence of Poiret’s design aesthetic without overtly referencing him, or presenting an homage. Critics seemed to be interested in what she was doing at the house, and though she didn’t have any breakthrough “it” items, her second collection was met with praise. Rihanna even wore one of her dresses on the red carpet. It will be interesting to see who Poiret CEO Anne Chapelle taps as her replacement, as the next appointment will likely reveal what the owners want the house to be. It is unclear if the brand will show at fashion week next season.